ESCAPED! One white female. Seen headed north, destination said to be Norway. 7 No reward, as she is 65 years old, has false teeth, and is uppity. 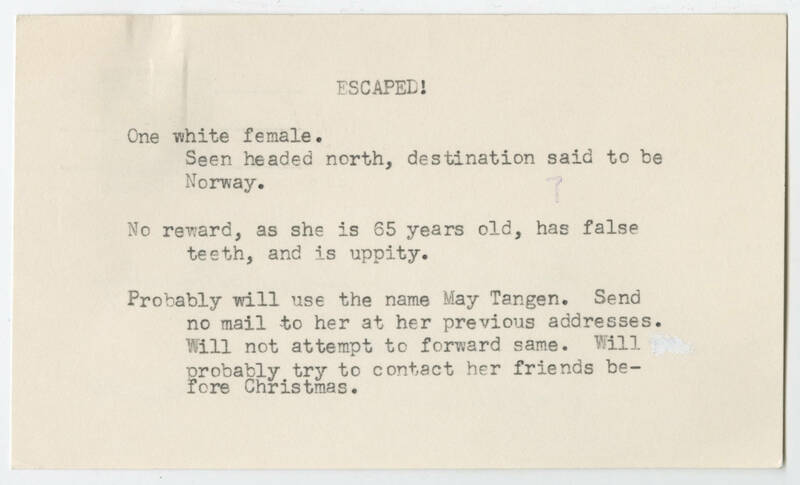 Probably will use the name May Tangen. Send no mail to her at her previous addresses. Will not attempt to forward same. Will probably try to contact her friends before Christmas.